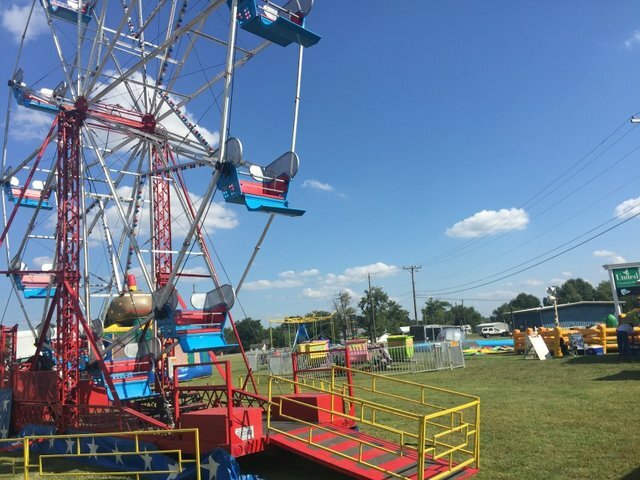 Ferris Wheel Rentals are delivered by BluegrassRides.com for many types of events, corporate events, company picnics, motion picture film industry, and weddings. Our wheel is a full sized Ferris Wheel has a traditional feel typical of festivals, street fairs, county fairs. The ferris wheel stands at 40ft tall and have 12 seats. A great family amusement ride to have delivered to your special event. Our event rental services team will work hard to make your event special. We deliver to your location, set up and operate for your event. We take all the worry away if you need to rent carnival rides we have the largest inventory of the hottest amusement ride rentals in the industry.